There seems to be many side benefits to the Warner Brothers release of Legendary's Godzilla 2014. As we mentioned earlier, three classic Godzilla movies will be released on blu-ray this summer; Smog Monster, the Sea Monster Ebira, and Gigan. Looks like universal Studios is following suit and we won't even have to wait as long as the other three classics we mentioned earlier. 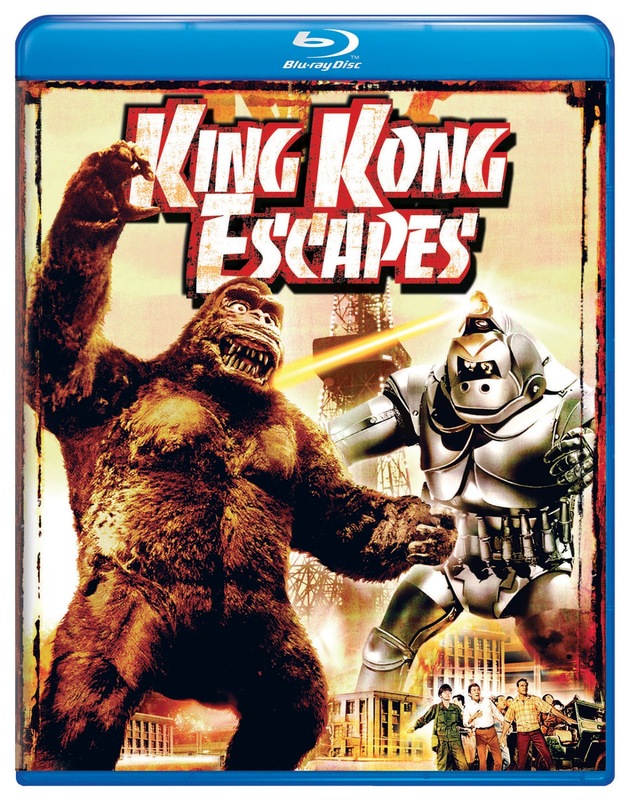 According to Scifi Japan, "Universal Studios Home Entertainment will release their two Toho King Kong films — KING KONG VS GODZILLA and KING KONG ESCAPES — on Blu-ray on April 1st, 2014." Also included in the SciFi Japan article is a brief history of hoe these two movies got made. Read an excerpt below followed by the cover art for the new blu-rays to be released. Rather than being initiated by Toho, development of KING KONG VS GODZILLA began as “King Kong vs Frankenstein”, a proposed sequel to the original KING KONG by that film’s FX director, Willis O’Brien. With the permission of RKO Pictures (the studio that made KONG), producer John Beck revised and shopped O’Brien’s concept to studios in the United States and abroad, including Toho. The Japanese studio was enthusiastic at the prospect of making a King Kong movie, and also saw the project as the perfect vehicle to bring their own Godzilla back to the big screen. Licensing the King Kong character rights from RKO, Toho made a deal with John Beck that split ownership of the film… Toho would own the rights in Japan, Asia and select other territories, while Beck would own the rights in North America and select other countries. The agreement was made in perpetuity, meaning that both parties would permanently own their shares of the film rights. 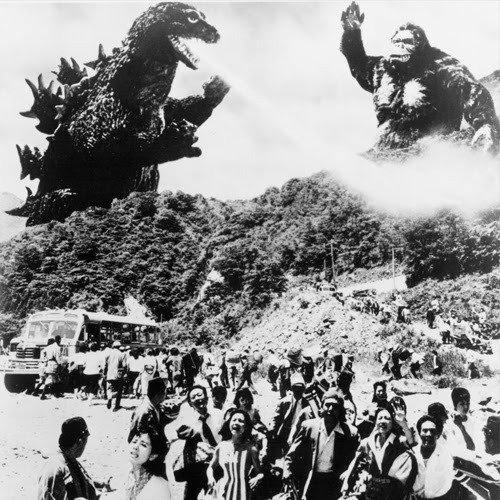 Toho released KING KONG VS GODZILLA in Japan on August 11, 1962. Shortly thereafter, John Beck began offering the film to US studios. In April 1963, he sold his rights to the movie to Universal. 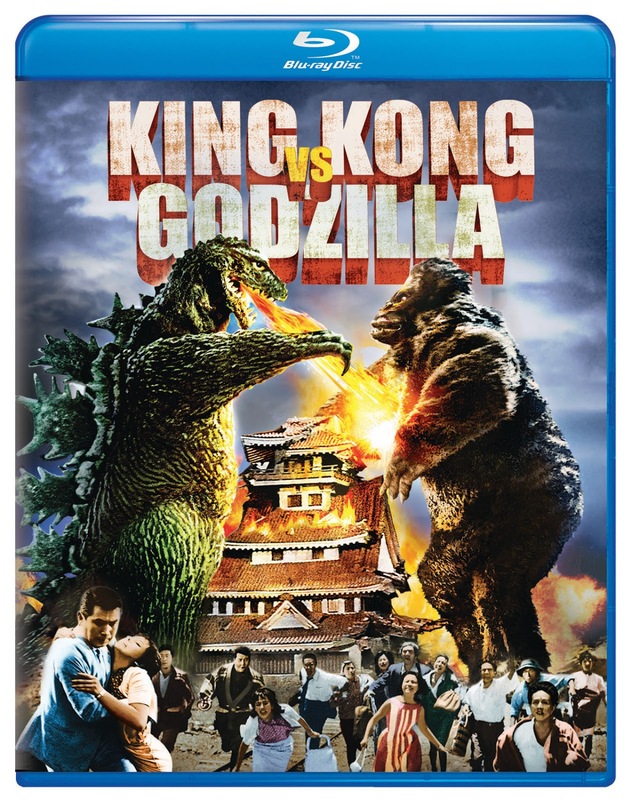 With Toho controlling all rights in Asia, Universal had no use for a Japanese language film so they had Beck create an edited, English dubbed version of KING KONG VS GODZILLA before delivering the film to the studio. John Beck completed the assignment and Universal released the film June 26, 1963.KING KONG ESCAPES was produced under similar circumstances.